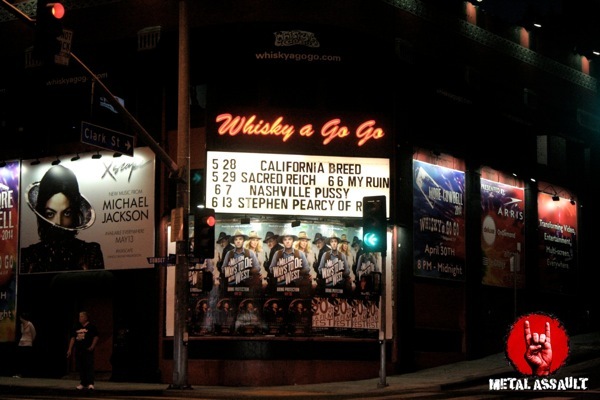 May 28th 2014, The Whisky-A-Go-Go, West Hollywood CA: Singer/bassist extraordinaire Glenn Hughes and drummer Jason Bonham have once again joined forces following the breakup of their previous endeavor Black Country Communion, and along with young guitarist Andrew Watt, they’ve formed a new power trio called California Breed. 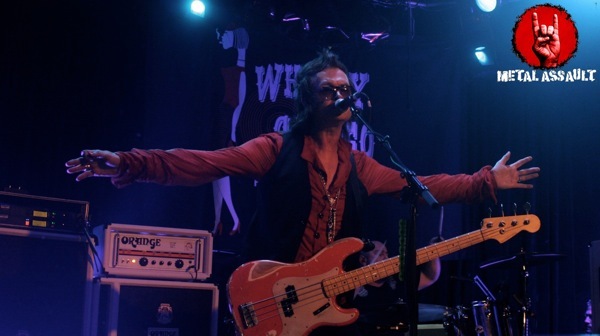 A little over a week after the release of their self-titled debut full-length album via Frontiers Records, the band made their live performance debut at a sold-out Whisky-A-Go-Go last night. There was a large amount of hype surrounding the event, perhaps even more than expected as the show sold out of all its tickets several hours in advance, but it remained to be seen whether the band’s debut lived up to this hype. Bakersfield hard rock quintet The Aviators started proceedings at 8:45 with a righteous 30-minute set. 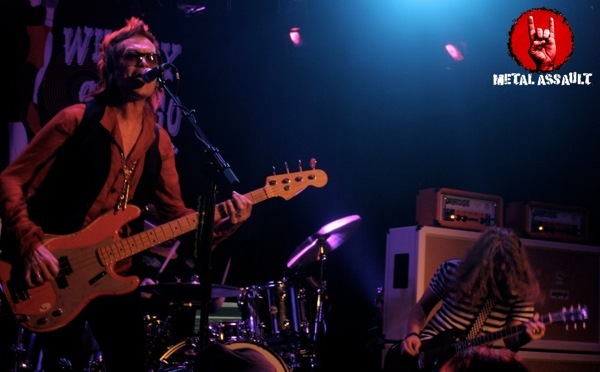 After impressing tremendously with their performance when opening for the Moby Dicks here last January, The Aviators returned to the scene of the crime, this time in front of a sizable audience as a result of the early sellout and the enormity of the occasion as far as the headline act’s appearance was concerned. They reveled in front of this appreciative crowd which gave them a positive response and even participated on vocalist August Young’s cue. The Aviators clearly showed that they can handle a big stage and a big crowd, and they undoubtedly gained some new fans here. They also proved that even though the whole ‘pay-to-play’ or ticket pre-sale thing that local openers have to do to get on the bill for such shows has all sorts of negative connotations, bands can gain from it if they pick the right shows to do it for. 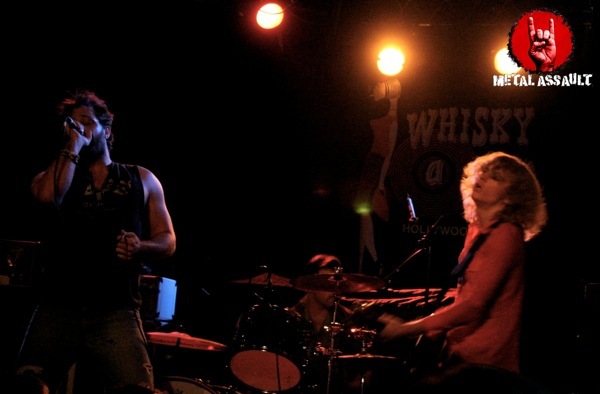 The Aviators’ AC/DC-inspired, Gibson Les Paul-fueled high-energy vintage rock was by all means an ideal opening act for this show. At 10:30, the members of California Breed descended down the staircase on stage right amidst huge cheers from the Whisky, which by now was absolutely jam-packed with no vacant spaces to be found anywhere. Andrew Watt, Jason Bonham and Glenn Hughes took their positions in that order, the crowd reserving their biggest cheer for Hughes and rightly so. They started their 100-minute debut set with a track called ‘The Grey’ off of the self-titled album, going on to play the 12-track LP in its entirety along with its deluxe edition bonus track and four very well-chosen covers, in the process giving this crowd plenty of reason to rejoice and much beyond their money’s worth through a wholehearted performance filled to the brim with organic, unabated rock ‘n roll. Even though the album has been out in stores and on digital platforms since May 19th, many in this audience were in attendance solely based on the musical reputations of Glenn Hughes and Jason Bonham, and for them it was the very first listen of this California Breed material. It was an interesting and perhaps correct move on the band’s part to mix up the track listing and not play the album in the exact order, as this enabled them to present it in a different form, and it’s safe to say that even though its studio recording is a compelling listen for all hard rock fans, the album delivers with greater strength and conviction in the live setting, bringing out the individual and collective musicality of the three members to a much greater and an almost tangible extent. After a great beginning with ‘The Grey’ and ‘Chemical Rain’, the set moved from lively tunes such as ‘Sweet Tea’, ‘Scars’ and ‘Solo’ to slow powerful ballads like ‘All Falls Down’ and ‘Breathe’, and mid-paced groove-laden compositions like ‘Days They Come’ and ‘The Way’, but interspersed within the 13 album tracks was a beautiful rendition of Led Zeppelin’s ‘What Is And What Should Never Be’, and a cover of ‘Medusa’, a song off a 1970 album of the same name by Glenn Hughes’ first band Trapeze, and one of the highlights of this set. Glenn Hughes’ entire repertoire as a vocalist was on full display through the variations in this California Breed performance, even as he laid down the low end on his bass while doing so. His vocal delivery and bass play at this show further solidified my opinion of him as the definitive rocker, and for me, and I say this with no disrespect to Jason Bonham and Andrew Watt who were both excellent in their roles, California Breed is all about the unmatchable musical talent and expression of Glenn Hughes. With that being said, Andrew Watt handled himself extremely well and emphatically proved that he belonged on the same stage as his highly esteemed band mates, while Jason Bonham showcased the very same classic rock groove in his drumming that his father was, is and will always be worshipped for in the rock universe. After closing the main set with ‘Midnight Oil’, the band came out for a stellar encore of Zeppelin’s ‘Immigrant Song’ and Deep Purple’s ‘Burn’, and exited the stage to an unending ovation. California Breed’s debut gig was without doubt a successful event, and hard rock fans all over the world can look forward to witnessing great live performances from the band in the foreseeable future.